Nothing went as planned for the Union Titans on their way to California and things went awry in California, too. All was just perfect, though, by the end of Friday night. 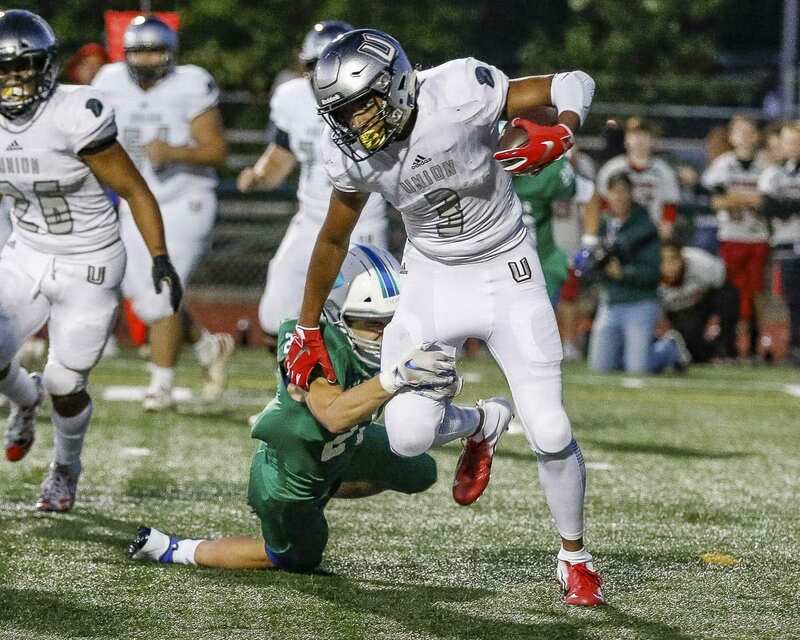 Darien Chase returned a kickoff for a touchdown with 29 seconds left in the game, giving Union a 34-29 victory over El Cerrito in a contest that started late and then featured four lead changes in the final quarter. The Titans were scheduled to arrive in the Bay Area in the evening Thursday, to have dinner with El Cerrito players. But fires along I-5 rerouted the team, and the Titans made it to the region around midnight. Then there were no officials at the scheduled kickoff time Friday night. True, but the game did not start until around 8:45 p.m., nearly two hours late. After traveling 700 miles to get there, though, the Titans were not about to drive home without a game. Union led 20-14 at the half and 20-16 after three quarters. El Cerrito scored. Union responded. And El Cerrito scored again — a jump ball in the end zone — to take a 29-27 lead in the final minute. The Gauchos kicked the ball out of bounds. Rather than taking the ball, the Titans opted to make the Gauchos kick off again. This time, the ball went to Chase. “Doc was able to pop it,” Rosenbach said, using Chase’s nickname. Touchdown Titans, who improved to 2-0 and have quite the story to tell about their trip to California.